On the 7th and 8th January, A-Level students and teachers from the Leigh UTC started the year off with an insight into the world of observational astronomy, with an exciting project at the University of Kent. From planning observations, data reduction and data processing, the participants took part in the full observational astronomy experience. Devised and run by the Director of the Beacon Observatory, Dr Dirk Froebrich and PhD student Sam Billington the SPARK (Schools Physicists Astronomical Research at Kent) project aims to provide a unique hands on experience for school students and teachers fully encompassing all aspects of astronomical research, from project planning and target selection, observing and data analysis. It is envisaged the project will provide a stronger collaboration between academics and participants and hence, we hope, increase engagement and impact. Although the days were very long, the participants had a great time and will produce a list of targets for the Beacon observatory over the next few weeks. As well as the observatory workshops, participants had a tour of the Light Gas Gun facility with Dr Kathryn Harriss and a useful talk about UCAS applications and personal statements from Dr Chris Shepherd. The feedback from students and teachers alike was great and many were surprised at the complicated nature of astronomical observing, and appreciated the chance to experience it fully themselves. 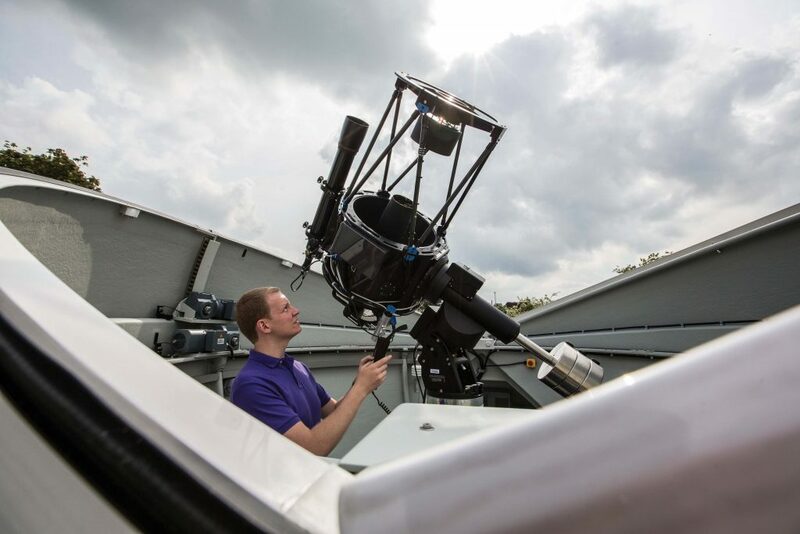 One student said ‘I was surprised by the complexity involved in setting up a telescope in order to carry out observations and inspired by discovering exoplanets’. The project was funded by STFC and will continue to see links develop between the University observatory and local schools. The Beacon Observatory recently celebrated it’s third year and has been a fantastic addition that has greatly benefited our students, staff and wider community.